Here’s another simple design that I love. 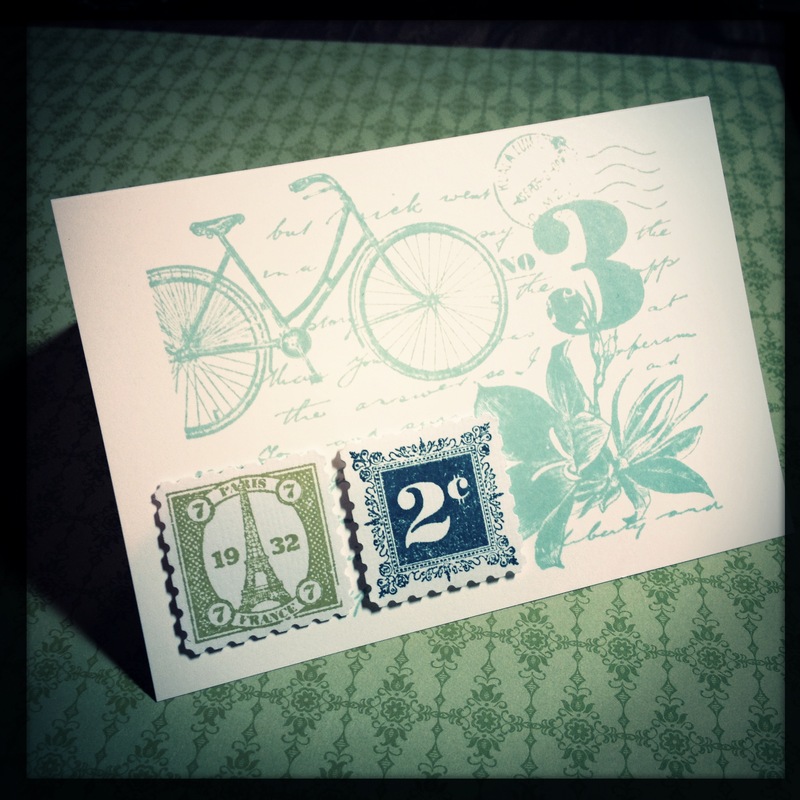 I used the Postage Due stamp set from Stampin’ Up! and the postage stamp punch to create it. Colours are Pool Party (background), Lucky Limeade, and Island Indigo.